Enjoy a fun afternoon with friends at one of these great Staten Island golf courses. 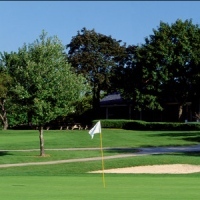 Take advantage of the best golf Staten Island has to offer by browsing through our detailed reviews of golf courses in Staten Island. Championship Caliber Golf on Staten Island! The 18-hole La Tourette Golf Course in Staten Island measures 6,500 yards and contains a slope rating of 116. The course is moderately difficult, with some challenging holes. The fairways are in very good condition and the greens are smooth. Plus, the staff is friendly and the rates are reasonable. A beautifully restored manor house serves as La Tourette's clubhouse. Take advantage of championship caliber golf at its finest! The facilities are home to the annual March of Dimes Celebrity Golf Fund Raiser. Additional amenities include power carts, an on-site pro, pull carts, a full-service pro shop, rental clubs, putting greens, and a full-service snack bar. The course is easily accessible from the Staten Island Expressway. Some of the Best Golfing in Staten Island! 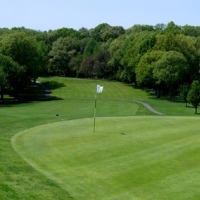 An 18-hole golf course in Staten Island, Silver Lake measures 6,050 yards and contains a slope rating of 108. Established in 1929, it is one of the most challenging courses in the NYC area! The course is moderately short, with super-narrow fairways, and is always kept properly maintained. Silver Lake is easily accessible via public transportation from Lower Manhattan. To book a tee time reservation, you may do so online on the website. If you'd like to enjoy a relaxing breakfast, lunch, or dinner on the patio--grab a meal at the Veranda Cafe, a full-service American cuisine restaurant.